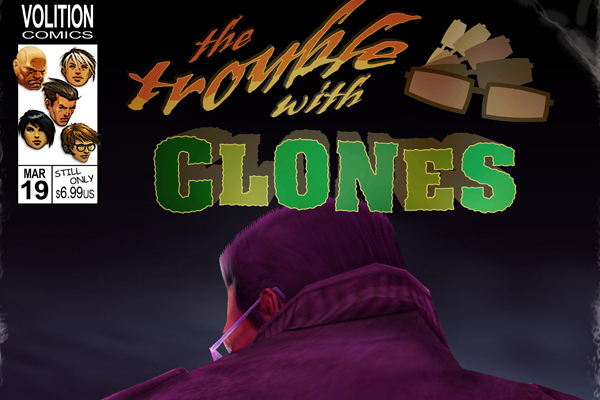 OnLive added The Trouble With Clones DLC to Saints Row: The Third. The Trouble With Clones costs $6.99 in the US ($4.89 PlayPack) and £4.49 in the UK (£3.14 PlayPack). Now Gat’s twisted clone is on the loose, terrorizing Steelport and its well-heeled citizenry. But just as science unleashed an abomination upon Steelport, it will also be its savior. The new formula of the Saints Flow energy drink, part ginseng root, part caffeine, and part secret sauce now endows you with super powers that just happen to be super enough to take down a giant evil clone. Saints Flow remains illegal in most countries, and prohibited in California. So drink up, bear down, and strap it on.